Literally hundreds of books have been written about Winston Churchill. From history to biography to politics, works about the great statesman cover several genres. 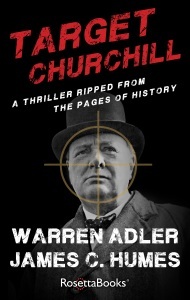 A daunting prospect for anyone wishing to write about him, but Warren Adler and James C. Humes, authors of ‘Target Churchill’, have taken up the gauntlet and produced a unique and ambitious historical thriller. In ‘Target Churchill’, ‘Day of the Jackal’ meets ‘Wolf Hall’, with more space devoted to historical and psychological insights than action, but still resulting in a novel that’s pacey enough to thrill. A remarkable achievement, given that the outcome of the Russian-hatched plot narrated by Adler & Humes is hardly a surprise. It is also a story that’s intriguingly topical, in these days of Russian belligerence, with Vladimir Putin an awkward yet formidable guest at the world powers’ high table. In ‘Target Churchill’, historical research blends with well-crafted writing. Both authors have top-notch credentials: Warren Adler is a prolific author and playwright, best-known for ‘the War of the Roses’, adapted into the Golden Globe and BAFTA-nominated blockbuster movie, and later into a stage version. James C. Humes earned a Pulitzer Prize nomination for ‘Churchill, Speaker of the Century’ and is a former presidential speech-writer who worked for R. Reagan, George W. Bush, G. Ford and D. Eisenhower. The novel opens in the dying days of World War Two. With the Red Army in sight of Berlin, ambitious NKVD general Ivan Dimitrov comes across a very peculiar prisoner of war: S.S. Obersturmbannfuehrer Franz Mueller is an American national of German origin who fled the US after killing two Jewish men. Proud, reckless Mueller is spared by Dimitrov after passing a gruesome test: asked to kill forty-two fellow-S.S. prisoners, he does so unflinchingly. Dimitrov is one of Lavrentiy Beria’s top aides, with an inside track to the longest-serving of Stalin’s secret police chiefs. Franz Mueller fits the bill perfectly for one of Beria’s most outrageous plans: the assassination of Winston Churchill, the man who, even if (temporarily) side-lined by Clement Attlee as Prime Minister, is the Western statesman who’s most acutely aware of the threat posed by the resurgent Russian Bear. As the perspective shifts to Churchill himself, Adler & Humes paint a fascinating picture of the great man, forced to enjoy a sabbatical from politics after his General Election defeat of July 1945. Though pleasantly ensconced on the shores of Lake Como in Italy, Churchill is itching to voice his concerns about Soviet Russia’s influence and the not-so-remote possibility that they will soon be able to produce The Bomb. A golden opportunity to express his views is offered Churchill by US President Harry Truman, who invites him to speak at his old college in Fulton, Missouri. As Churchill prepares to deliver what will be his famous ‘Iron Curtain’ speech, Russian intelligence scrambles to acquire its content in advance. They’re aided by another remarkable historical character, the chief of staff at the British Embassy in Washington and Russian spy extraordinaire, Donald MacLean. Helped by his lover, embassy secretary Victoria Stewart, MacLean succeeds in whisking an advance copy of the speech away from Churchill and passing it to the Russians. Churchill’s vehement anti-Russian rhetoric forces Beria’s hand, and Dimitrov is given the order to activate Franz Mueller, who had covertly gone to ground in the US in preparation for one mission only: kill Churchill. The sheer weight, historical and personal, of the characters involved, and the events they take part in, is handled expertly by Adler & Humes. They wear their scholarship lightly enough to let the plot flow, though fans of all-action thrillers may at times feel a little out of their depth. 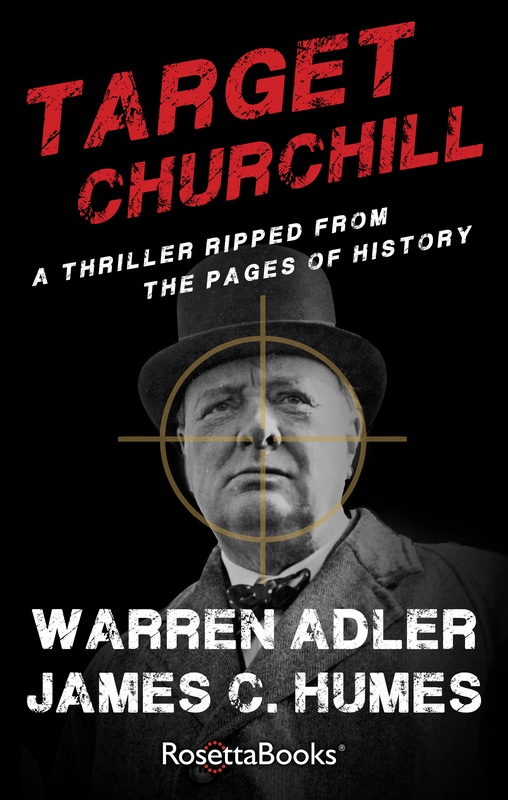 I appreciated ‘Target Churchill’ for the smooth way in which it combines historical facts, insights into the life of major public figures, and fiction. Besides larger-than-life Churchill, Adler & Humes do a great job of developing the characters of Victoria Stewart and Franz Mueller. Victoria will be deployed by Donald MacLean as Churchill’s personal typist, working for the great man as he crafts his controversial speech. Torn between love for MacLean – whose role as spy she’s yet to guess – and allegiance to her country, Victoria is a touching figure, vividly portrayed. The only fictional character (or presumably so) among the story’s protagonists, Franz Mueller is perhaps not as finely chiselled as the others but still highly believable: a man on a single-handed assassination mission, who has to fight against huge odds as much as against his own loneliness. His meticulous preparations as he sets up the assassination attempt, counter-pointed by a tormented attraction for an American nurse, tick away inexorably and set the pace for final drama played out at the Missouri college. With ‘Target Churchill’, Adler & Humes have managed to make a crucial moment in modern history come alive through the characters involved in it, painstakingly depicted in their idiosyncrasies, aspirations, fears and daily routines. ‘Target Churchill’ is a remarkable feat and a very fine read indeed.